Egg freezing is a procedure that consists of freezing your mature eggs (oocytes) prior to any fertilisation. Your stored eggs can later be thawed and fertilised with your partners or donor sperm during an IVF treatment at a time that is right for you in the future. Egg freezing is provided at IVF London as a method of preserving your fertility for use in future treatment. Some women choose to freeze their eggs for medical reasons, e.g. they have been diagnosed with cancer or other serious illnesses which is likely to affect their ovaries and can prevent them from producing eggs in the future, or perhaps because they are at risk of early menopause. 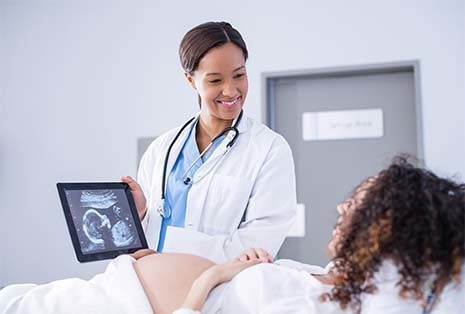 Other women may decide for social reasons (single women or women wishing to delay childbearing due to career reasons) that they wish to preserve their fertility at an optimum time in their reproductive life, in preparation for treatment later on in life. If freezing for social reasons it is advisable to freeze your eggs whilst you are younger in age. The quality of the eggs deteriorates with advanced age notably after 38 years. Similar to the early stages of an IVF cycle, at the start of an egg freezing procedure, you will be required to administer a series of medications to induct ovulation – this helps your body prepare eggs for collection. We will monitor your progress and reaction to these medications with ultrasounds and blood tests to pinpoint the time of ovulation ready for an egg collection procedure. Your mature eggs will then be collected (retrieved) from the follicles of your ovaries during a short procedure at the clinic under deep sedation or anaesthetic. Your eggs are collected using a thin needle inserted into your ovaries and then sent to our laboratory to prepare them for vitrification. You will be required to take a short time to recover from the procedure prior to going home. Once eggs have been frozen, their quality will not deteriorate whilst frozen. However, eggs cannot be stored indefinitely as per HFEA requirements, which set a limit of 10 years on the storage of eggs. This period can be extended in certain circumstances, in periods of 10 years up to a total of 55 years. Eggs that have been frozen and are to be used for future treatments, after thawing, are injected with sperm as in ICSI/IMSI procedure to achieve fertilisation, prior to a viable embryo or blastocyst transfer into your uterus to develop as in a normal pregnancy. The egg collection is a relatively non-invasive procedure that carries minimal risk. However, stimulation of the ovaries has been associated with ovarian hyperstimulation syndrome (OHSS). Mild to moderate OHSS can be managed with pain medications and will usually resolve on its own within a couple of weeks. You may also experience some pain or abdominal cramping after egg collection, similar to that of getting your period. If you are concerned about any of your symptoms, do contact the clinic for further advice. It is also worth noting that not all frozen eggs will survive the warming procedure. Eggs that are poorer in quality are known to disintegrate when defrosted. Typical survival rates of eggs after warming are in the region of 90%.